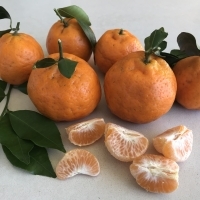 Daleys Fruit Tree has Plants for Sale to Findon Creek and can Mail Order them to you door. Click to Find out how much Freight Will Cost. 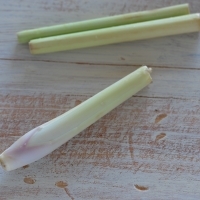 Lemongrass is one of the most versatile of herbs. 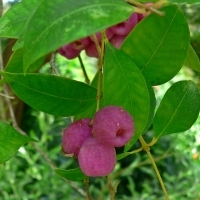 It makes a delicious herbal tea, is often used in cooking, as an effective pest repellent and an almost impenetrable weed barrier. Tie the outer leaves in a loop and cook with food to impart flavour. Be sure to remove before serving. Incredibly fast to become established and drought tolerant. A large lily that makes a great understory plant beneath eucalypts. Strap type leaves 2m long by 15cm wide. 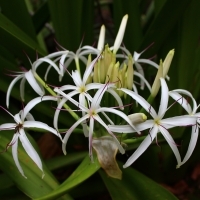 The white pleasantly perfumed flowers occur from November to March, are about 10cm across in clusters of 10-25.